The Bangladesh Securities Exchange Commission (BSEC) approved IPO Runner Automobiles Limited on Tuesday, 06 November 2018 at their 663 nos Board Meeting. Presided by BSEC Chairman Prof. Dr. M Khairul Hossain to raise Tk. 100 crore by offloading around 1.39 crore shares at a price of Tk. 67.5 to Tk. 75 each share. The commission, under new public issue rules, decided to offer RAL’s IPO shares to general and non-resident Bangladeshi investors at 10 percent discount of cut-off price which was set by the bidding of the institutional investors. As per the bidding of EIs, the cut-off price of the company’s shares stands at Tk 75 which will be allotted to general investors along with NRB investors at Tk 67 each. Under the amended public issue rules, of the 1,39,30,348 crore IPO shares of RAL, 83,33,333 will be allocated to EIs, and 55,97,015 shares will be offered to the General and NRB investors. Incorporation: The company was incorporated in 4 July 2000 as a private limited Company and was subsequently converted into a public limited company on 26 January 2012. Commercial Operation: RAL was started commercial operation on 4 July 2000. 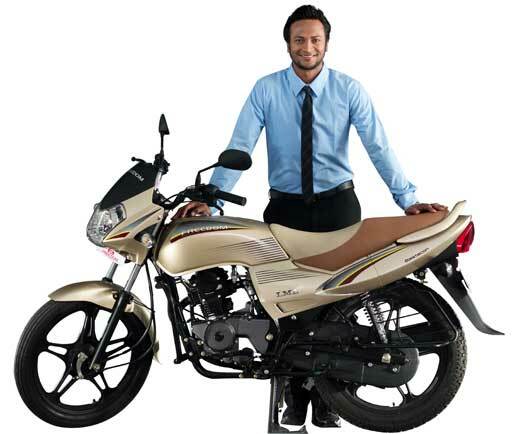 Runner Automobiles Limited is a pioneering 2 Wheeler manufacturer and assembler in Bangladesh. It has a state of the art manufacturing facility on 3800 decimal of land in Bhaluka with capabilities to produce at least 100,000 units a year. The principal product of the Company is 2 Wheelers. Runner Automobiles Limited produces high quality, high performance 2 Wheelers at competitive prices. RAL’s product range varies from 50 cc to 150 cc with some 13 models of 2 Wheelers and scooters. The products are sold to Customers and Corporate clients through Dealers, Company Owned Company Operated (COCO) stores, through tenders and recently initiated online retail mode. Runner Automobiles Ltd. have three subsidiary company: a) Runner Motors Limited b) Freedom Motors and c) Runner Electronics Limited. Factory Office:Borochala, Paragaon, Bhaluka, Mymensingh. As per the financial statement for the year ended on June 30, 2017, the company’s net asset value (NAV) stood at Tk 55.70 per share (with revaluation) and Tk. 41.94 per share (without revaluation), whereas the weighted average of EPS was Tk 3.31. IDLC Investment Ltd. working as the manager to the issue. Bangladesh Securities Exchange Commission (BSEC) approved IPO of above Co. on 6 November 2018. The companies will raise a fund worth Tk. 100.00 million for the purpose of research and development, capital machinery purchase, bank loan paid along with bearing the IPO cost. ** The Company will collect IPO money through BSEC new rules and the new rule is “BROKER HOUSE SHOULD COLLECT IPO MONEY ONLY”. THANK YOU FOR VISITING MAXBANGLA.COM.